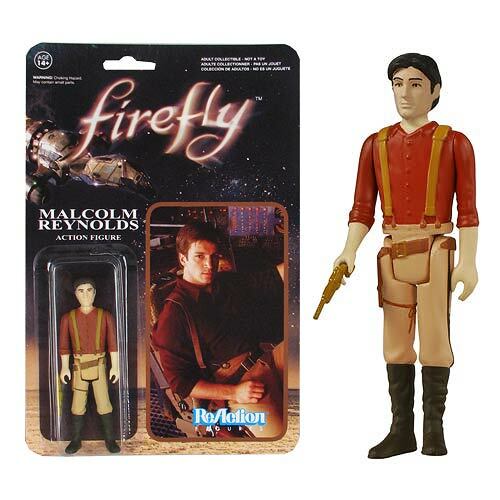 • Malcolm Reynolds Action Figure, in retro Kenner style! • Poseable 3 3/4-inch ReAction figure from Firefly! • Includes a gun accessory!